Last March I wrote a post about the early history of the product now sold as Symantec Enterprise Vault. I’m now delighted to see that Nigel Dutt has published a comprehensive account of the history of the Vault. The account is compelling reading as it wanders through corporate politics, a failed attempt to do a deal with Microsoft to ship the Vault software alongside Exchange 2000 as the “Enterprise Vault Mailbox Manager”, buying the IP from Compaq, early days as an independent software company, marketing the message first about removing email from databases and then (as lawyers began to become concerned about discovery actions) how to keep email, to a point where the company (KVS) was acquired by Veritas and then by Symantec. It’s a great read with references to companies like Enron (who wanted to get rid of email – surprise, surprise) and marketing at Microsoft Exchange Conference events in Europe and the U.S.
All of this is very pertinent in light of the recent EHLO post titled “Exchange, stubbing, and database space reclamation”, an interesting read if only because it explains how the evolution of the Exchange Store has affected customers who use “stubbing” products. Enterprise Vault was the product that brought “stubbing” into the Exchange vernacular. Originally deemed to be a pretty good idea by the Exchange development group at a time when storage was much more expensive than today and the Exchange store wasn’t quite as nippy and efficient as it is in Exchange 2010, stubbing seems to have become a dirty word in Redmond. Some might say that this is just a case of “not invented here”. And indeed, I think that there is some truth in this feeling, but perhaps it’s more accurate to say that Microsoft now competes with Enterprise Vault and similar products from other vendors. Up to Exchange 2007, Microsoft would have been laughed at if they claimed to have a document retention strategy for email. The original Messaging Records Management (MRM) subsystem included in Exchange 2010 is bare-bones and incomplete and was totally rejected by the vast majority of customers (I admit and acknowledge that some find MRM to fit their needs very well). Exchange 2010 is a different proposition and it’s because this product includes archive mailboxes, much better retention policies, litigation and retention hold, single item recovery, and multi-mailbox discovery search (all of which represents a huge engineering investment by Microsoft) that the tension with the “stubbers” and other archive vendors now exists. Exchange 2013 increases competition further by introducing new features such as Data Loss Protection (DLP). However, the more interesting extension is the ability to search across Exchange, SharePoint, and Lync (once the appropriate software versions are deployed) due to the adoption of the FAST search technology as a common platform. Site mailboxes also allow Exchange and SharePoint to collaborate better than ever before. With the Microsoft Exchange Conference rapidly approaching, I think it’s important for competition to continue to thrive in the area of document retention and management. It would be dreadful if Microsoft bulldozed third party vendors aside in a rush to introduce new features in Exchange. Then again, it has forever been so. Why won’t it happen again in this area? It will be interesting to see what’s said on the topic at MEC – or what third parties are showing there! 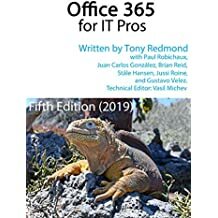 This entry was posted in Email, Exchange, Exchange 2010, SharePoint 2010 and tagged Document retention, Exchange 2010, Exchange 2013, FAST search, KVS, Messaging Records Management, MRM, Symantec Enterprise Vault. Bookmark the permalink. Microsoft actually competes with Symantec in numerous technologies, (backup, archiving, anti-virus, client management, encryption..etc), yet none of them are market leading technologies. Good enough does work for many smaller companies, but not always best in larger organizations. Interestingly NT backup and volume manager was written by VERITAS back in the day, but not any more. Another “thanks for the great idea, we’ll take it from here”. Is that why Exchange 2010 smells so much like Lotus Domino? One 1 MB email for 1000 employees costs me 3GB in storage? (3 DAG config and no single instance storage? 3×1000 mb). How much email does the typical user have that needs to be stored and discovered? Yes, I’m a long time Symantec employee and Exchange is a great messaging platform, but a Swiss army knife can only have so many attachments before it becomes unusable and forgets it was a knife first. I’m working booth duty for Symantec at MEC, feel free to stop by and our team can explain why MS and Symantec work better together than going it alone with Exchange (in most cases 🙂 ). Great article, sorry for the plug, but co-opertition does that to people.